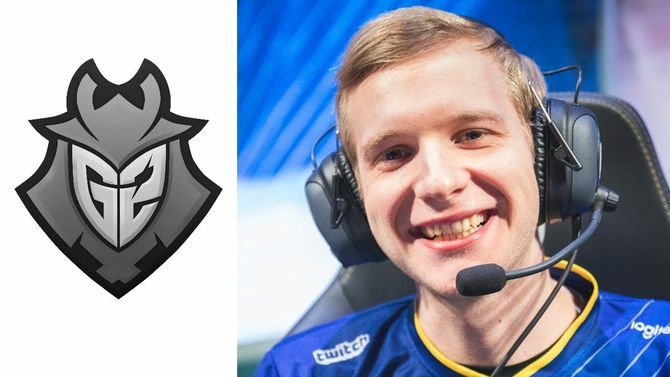 G2 Esports' Jankos reveals insane scrimmage hours: "1 p.m. to 2 a.m."
The 2018 League of Legends World Championship’s Group A has a curious case of the upset in the making, as G2 Esports are playing spoiler to Flash Wolves and Afreeca Freecs. The team stands atop of the group, but are still vulnerable to the two contestants they beat during the first four days. It was for sure a bad call, but they pulled those fights out, and they looked strong from behind. A lot of teams would kind of collapse, [...] it was pretty great seeing them do it, but I couldn't watch it all because I had scrims. I was scrimming from 1 p.m. to 2 a.m.. We did have breaks for food, so we screamed from 1 to 4, 7 to 10, then 12 to 2. We play basically 8 games, but normally we scrim 6 games but we are trying to get as much as possible so we actually improve, because that is our only chance. Right? Looking at that group it is possible get out of it, so we are trying. G2 Esports are on a quest to become the first European LCS squad qualified to the bracket stage in the 2018 World Championship after Team Vitality narrowly missed the mark. Be sure to tune in starting Oct. 15 at 10:00 CET / 1 a.m. PT / 17:00 KST to see whether G2 Esports can cement their spot at the top of Group A, live on the Worlds hub!